Two Years! Can you believe it!? Over the years of taking care of my Mom, I learned an awful lot as I navigated through getting the right paperwork to get things done on her behalf, relocating her from MD to FL, selling her house, investing her money, learning how to get answers from medical professionals, making friends with the pharmacist, trusting home health agencies and workers, helping to create a social circle for her, helping to keep her motivated and engaged, working through emotions and frustrations that I had in expecting things from family members and friends. I never thought that all of these changes would come upon a person and there would be no one resource to help guide you through these things. I was lucky enough to have others who had been through similar situations share their experiences and key learnings with me to make my road a bit easier. And from the very beginning, I felt that no one should have to do this alone; without a sounding board or someone to give them direction in getting started; someone to help sift through the many thoughts that arise of doubt and confusion about whether you can even handle being a caregiver. As I found my voice in speaking up on behalf of my Mom, I also raised my voice to speak to others beginning their journey as family caregivers. Instead of being a silent, solitary mass of individuals, I think we should be a visible, vocal community that supports one another and shares our good, bad and ugly in order to be better for those that we care for. And that’s how Caring for Family Caregivers was brought into being. I hope that I am living up to this purpose and serving the community well. As I start a new year with this company, I will continue to bring more efficiencies, education, information and support to family caregivers. For those of you who have been on this journey with me, thank you for your belief in me and for your support of Caring for Family Caregivers activities. Thank you for spreading the word that Caring for Family Caregivers exists and thank you for allowing me to serve you since 2015. I am looking forward to bigger and better things in the future. Are things falling to pieces? Or are the pieces falling into place? I was urged to think about this when a friend of mine posted a saying to the effect of sometimes when it looks like things are falling to pieces, it's really the pieces falling into place. When I find myself in the position where things are falling to pieces I am usually such a wreck that I can't remember the situation. It is difficult, distressing, shocking to me that I am not in control and cannot stop the avalanche or tidal wave I see approaching that covers everything in it's wake. But I do have one instance that was a little frightening but not so scarring that I have blocked it from my memory. So, I will share in this blog. I am a bowler. I have been competing since I was a kid. My Dad was a youth bowling coach for over 50 years and coached both me and my 2 brothers for our entire lives. I compete annually in the Women's National Championship tournament as an amateur. So, in 2015, I was scheduled to bowl in my 20th Nationals tournament on Reno, NV in June. My entry was confirmed and paid for by February of that year. I had a team with 4 spots on it for bowlers. Sometimes it is a little challenging to get 3 other people to share in your vision and form a team. People have a hard time with getting the time off of work or away from home. They have challenges paying for the flight and hotel. They have challenges paying for the tournament entry. So, when you lock in your team, you have already done a fair bit of work. For this tournament, I was only able to fill my roster with 3 bowlers. I got a half of a commitment from a 4th person. But when it came time to pay for things and buy a plane ticket, the truth came out and she was unable to travel with us. So, it's not so bad to have one opening on the team. There's a substitution bulletin board at the tournament site for this kind of dilemma. It wouldn't be the first time that I had been on a team that had to grab a sub at the tournament. And we were bowling in the event about halfway through the full window of the competition. The tournament ran for months and ended in July. We were bowling at the beginning of June. So, there should be subs available. So, then, we were 3. So, as we were booking flights, the 3rd bowler looked at the days that we were flying and realized that she was scheduled to bowl a different tournament, in a different city in Nevada over the same dates. There was no replacing her either. So, we had gotten one sub before at a tournament. How hard could it be to get two subs for the team event? All we can do is try. The two of us remaining on the team secured our room and our flights. I was travelling with the best doubles partner and travelling companion in the whole world. 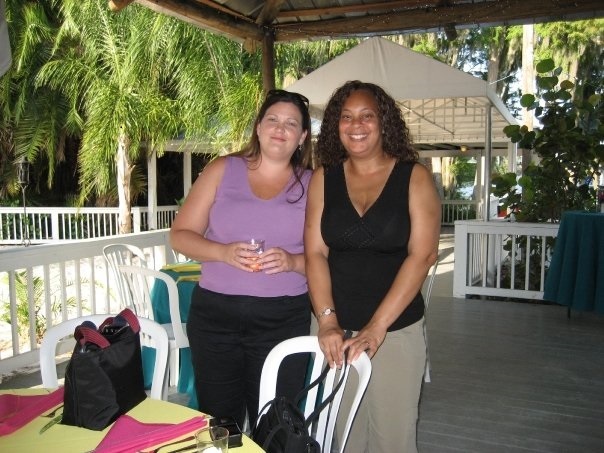 We have travelled together for just about a decade. So, we have a great time. We share common interests like casinos, cocktails and good food, fine Vegas entertainment and relaxing at the spa. We have never had a bad trip. We always find the fun no matter what we are doing. Flight delays don't steal our joy. Lost luggage doesn't phase us. We always have a great time in every situation. Because of this, we always plan a trip to Reno paired with a trip to Vegas. Hey! We made it all the way out there! We might as well make the most of it! So, 2 days in Reno and 3 days in Vegas and our trip itinerary was complete. So, both me and my bowling bestie have responsibilities to our Moms. They help us out and we take care of them when they need it. Jodi's Mom helps her with her kids tremendously and Jodi stays on top of what her Mom's medical needs are. During this particular year, Jodi's Mom had been having a variety of problems with her knees, her heart, her gall bladder and general feelings on lethargy. Oh, and blood clots! She had been in and out of the hospital during the year. But she was at a good point as we were planning to leave for our trip. But as fate would have it, she went into the hospital 2 weeks before our trip for a one week stay. We were still hoping that she would have her strength back and be able to hold things down at the house while we were gone. She reassured Jodi that she was fine and that she should go to the tournament with no worries. But you know how you get the feeling that someone is putting on a front? That their words and actions don't exactly match up? That's the impression that Jodi got. And the night before the flight, she told me that she was going to have to stay home just to be sure everything was OK with her Mom. Of course, I was disappointed in my own selfish way. But I did understand and hoped that everything would work out. That in the morning, her Mom would spring out of bed, tell Jodi she felt like a million bucks and that she should hurry and catch her flight! Nope. Not so much. I flew out to Reno for my 20th tournament all alone. No cheering section. No back up. No support. No team. This was completely new for me. Every one of the other 19 years, I had travelled with a team to go to Nationals. (except that one year where I worked all the way up to the day before the event and had to fly in on the morning that we bowled team). I got to Reno and checked in at my hotel. I got something to eat and then went to the National Bowling Stadium to see if I could find a team to bowl with. There was a team from New Jersey that needed one bowler. So, I called them and they offered me their open spot. Whew! I was going to compete for the 20th consecutive tournament!! They bowled at the times that I was scheduled to bowl originally too. So, my squad times were the same. The tournament office removed my team entry for the tournament and moved it to 2016. So, my spot for the following year was secured. That was a bonus! The 2016 tournament was going to be in Las Vegas and would most likely be a sell out because of the change in venue to one of the best cities on the planet. That night, I played Blackjack (as usual), won money (as usual), and went to bed (not as usual). Usually on my first night, I would play until the sun came up and take my bankroll back to the room to use for the rest of my trip or I would play until I gave back all of the money the nice dealers had pushed to my side of the table. The next day was the late afternoon squad of the team event. I lounged during the day. Ate a big midday meal at Hash House A-Go-Go and washed it down with a Bloody Mary – the BLT one. Yummy! I made my way next door to the bowling stadium and met up with my team. Really nice ladies! They gave me a shirt to wear- just for the event. There’s an award if your team dresses the same at Nationals. My partner Cheryl was a very cool person to meet. We had great conversations. We took our team picture before the squad started, entered the brackets and sat down for the pre-game meeting where the tournament officials greet you, tell you where all of the participants on your squad are from and the give out PARTCIPATION AWARDS. First timers to the tournament get a warm welcome. 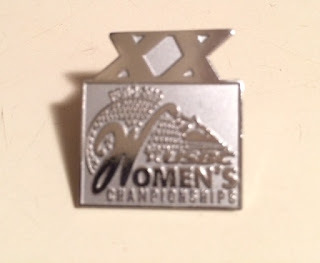 But if you have been in 20 or more consecutive tournaments, you get a pin, patch or plaque. This was my year to get a pin. I was so happy that I had actually made it to 20 consecutive tournaments. There were lots of obstacles along the way (finances, accommodations, time off from work, finding a team), but I made it! And I bowled pretty well on the first day. When I sub with a team, I would feel like a failure if I did not bowl my average for the 3 games. The team had spent the day golfing and they were spent. I did better than average. On the second day for doubles and singles, I really did well with a 602 as my high series in singles and a 1675 for all-events for the weekend. I had my highest finish ever in the tournament. 3rd place in my division in singles and 5th in all-events. I truly felt like things were completely falling apart as I made this trip into the unknown in a familiar setting. The experience caused me to stretch and grow and reach new heights. For the 2016 tournament, we are in Las Vegas to compete and to play – all with one plane ride this year. We leave in the morning and there are only 2 of us. But we know we will find a few subs and have another one of the best trips that we have ever had! I have a good feeling about this year. I will let you know how we do.